The English population awoke on Thursday morning to find the back-pages of their daily newspapers adorned with glowing praise for the architect of their national team’s defeat the previous evening. It says all you need to know about some sections of the English media that it took four goals in a friendly against a decidedly average England side for them to be convinced of the worth of Zlatan Ibrahimovic. ‘Ibra’ has forever been portrayed as an enigma by the opinion-formers amongst the national press, forever deemed as arrogant and overrated for not ‘turning it on’ against English clubs in the Champions League. Although they have a point – the Swede was abysmal against Liverpool when playing for Juventus in 2005 and then Inter Milan three years later – it is crass ignorance and arrogance to ignore a quite exceptional track-record. Even two stellar performances against Arsenal (for Barcelona in 2009 and for AC Milan this year) did little to enhance his status on these shores. Ignore the naysayers and just listen to the bare statistics. 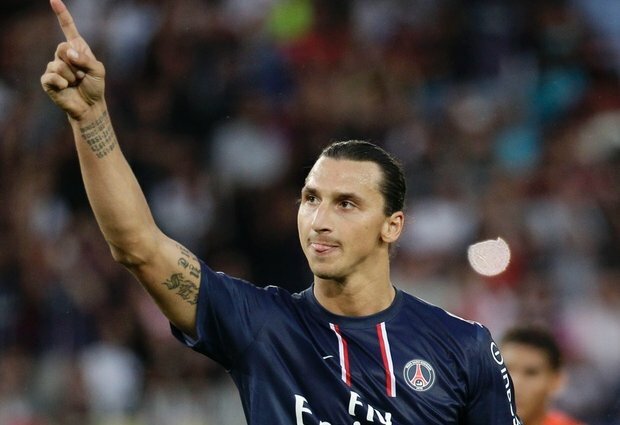 Ibrahimovic has scored 246 times in 504 appearances for Malmo, Ajax, Juventus, Inter Milan, Barcelona, AC Milan and Paris Saint Germain. He has won nine league titles across three countries with five different clubs; by May those numbers could well have increased with his current club PSG sitting atop Ligue 1, and Ibra leading the scoring charts on ten. He is a flat-track bully of the highest order; a flat-track bully who wins league titles. And it is not just the sheer quantity of Ibrahimovic’s goals that are so impressive. As his haul earlier this week suggested, he is not only a great goalscorer but a scorer of great goals. There are too many to choose from, but he has so many qualities that make him a lethal centre-forward. Take this brilliant solo effort for Ajax against NAC that was named Eurosport’s Goal of the Year in 2004. Ibra uses first his strength and then his skill to weave his way to the goal and find the net. Ibrahimović gained a black belt in taekwondo when he was 17 and this flexibility has seen him produce jaw-dropping acrobatics on the pitch. Yes, his final goal against England was a work of pure genius but this was the first time Ibra has pulled out the spectacular. Witness the so-called ‘kung-fu goal’ against Marseilles last month or his scissor volley against France at Euro 2012, which followed on from similarly sensational strikes in Euros 2004 and 2008. Zlatan said to the English press back in 2010, ‘Wait and see, I will show you.’ His one-man, four-goal master-class against the English defence on Wednesday night was a devastating fulfillment of a two-year promise. A sulky on-field demeanour, combined with breathtaking egotism, has confounded and distorted the opinions of many neutral observers across the country. 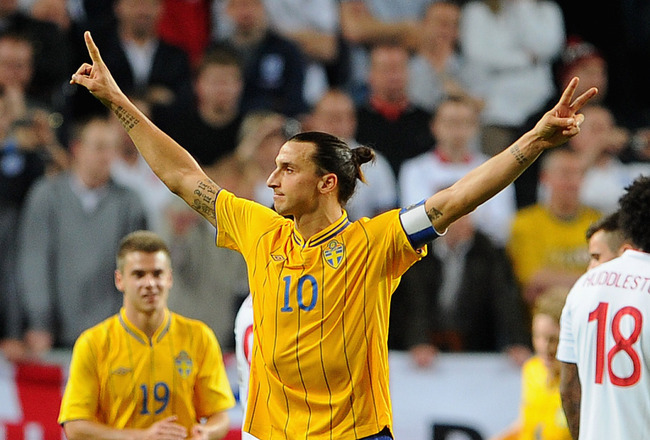 There has been a tendency to overplay Ibra’s swagger with claims that his performances don’t live up to it. A look inside the man’s personal trophy cabinet, including outstanding goals and performances in El Clasico, Le Classique and the Milan derby, would say otherwise. The Champions League remains a gaping hole in his exemplary medal haul, but, despite his rapidly advancing years – he turned 31 in October – Zlatan continues to prove he is one of the best around. It would take a foolish man to bet that the sole blemish on his record to date will remain unfulfilled. That it’s taken until November 2012 for Zlatan Ibrahimovic to prove his worth to the English press is a sad indictment on the opinion-formers of this country. He may not have always delivered on the big-stage, but that should not dominate judgement over the exceptional statistics that embellish his astounding career to date. This entry was posted in Analysis and opinion and tagged ac milan, ajax, barcelona, england, inter milan, juventus, psg, sweden, zlatan ibrahimovic by The False Nine. Bookmark the permalink.